Egg tray making machine is the basic product of a paper pulp molding machinery. It is used to make paper egg trays from waste paper, such as old books, old newspaper, etc. As a leading manufacturer in packing machinery industry, Beston Machinery can provide all clients with top-quality paper egg tray making machine at the best price. Moreover, thanks to our designers, we can also make egg carton machine for sale, apple tray making machine, shoe tray machine at different specifications. Finally, our products are triumphantly exported around the world with the feature of reliable quality, high automation, and precise technology. Considering the interests of customers in the first place, we do our utmost to improve the quality of our pulp molding equipment and provide complete after-sales services with fewer investment costs. Do not hesitate to contact us! With a great deal of experience, we have a series of egg tray making machines with various capacities for sale. And the hourly output ranges from 1000 pieces to 6000 pieces. Here are the main parameters for your reference. Beston Machinery has introduced advanced technology and high-quality designers to provide the best egg tray machine at a fair price. As for the customers who are interested in our products, we will give them suitable suggestions after analyzing their situations. We will take the local market conditions, the required supporting facilities, etc. into consideration. Besides, we have illustrated the parameters in detail, including the consumption of water, waste paper, fuel, and labor force. In addition, we will design the layout and pipelines in detail based on the scale of the plant. More importantly, not only the egg tray making machine, but also our complete pulp molding production line is of high quality and stable performance. In addition, we have strictly tested and controlled all the equipment, including the pulp making equipment, pulp molding machine, drying and packing devices. As always, we focus on making full use of all the resources to maximize the profits. As for first-time buyers, we will supply them specific installation instructions and training. Our architects will design each section based on the features of your workshop. You can also obtain the direct guidance from our engineers at any time. Moreover, each part of our egg tray manufacturing line is within one year warranty and lifetime maintenance. With the increasing consuming level, people are demanding upmarket packing products. The protective package has got a new role in making goods fancy. Except for fragile food, more products go with high-end packages. That’s why the packaging industry is absolutely booming. However, the simple egg tray making machine cannot satisfy the various requirements. Thus, we have manufactured a variety of pulp molding equipment for sale, including fruit tray manufacturing machine, shoe tray making machine and egg box making machine. In the other hand, the pollution caused by plastic packing products has been a major social problem. The import of polystyrene packing products has been prohibited by laws in some areas and countries, like Europe, America, Japan, etc. There is no doubt that it is urgent to get a substitute for the sake of protecting the resource and the environment. Pulp molded products, a kind of eco-friendly packing products, will play a dominant part in the future market. As the forerunner of pulp molding industry, egg tray making machine becomes popular soon. 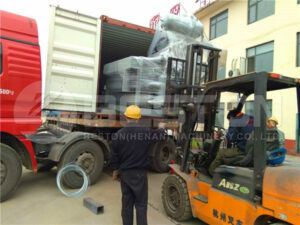 Some foreign-funded enterprises in China have adopted pulp molded shockproof packing products. Products molded by paper pulp are applied in a wide range of industry, such as appliances, communication equipment, ceramics, art wares, etc. With the development of the world economy, environmental awareness has greatly increased. At the same time, more laws and policies are proposed to support pulp molding industry. As a degradable packing material, pulp products will certainly have an extensive prospect. 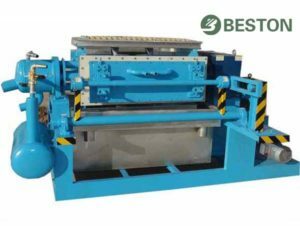 The paper pulp moulding machine from Beston Machinery is free of contamination. Furthermore, our products can utilize energy fully and repeatedly. In the long run, the total costs are much more worthwhile. Thus, it is a wise choice to invest a pulp molding production line from us. Here is a video about the entire egg tray manufacturing process. Pulp molding industry has emerged for more than 80 years in many developed countries, such as Canada, America, France, Denmark, Iceland, England. In 1984, an autonomic egg tray making machine was introduced from France to China. It was the beginning of Chinese pulp molding industry. 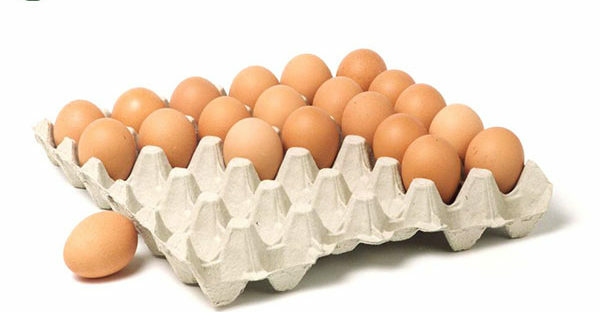 In 1988, we have independently researched and developed the first egg tray production line in China. However, the molded pulp products were simply egg trays, bottle trays, fruit trays before 1993, which could not meet the various demands of customers. With the development of economy, eco-friendly packing became more popular. In recent years, molded pulp products have been widely used to protect electronic devices, hardware tools, communication tools, cosmetics, etc. As a kind of cushioning material, pulp molded products have quickly replaced polystyrene packing with the advantage of reasonable price and biodegradation. 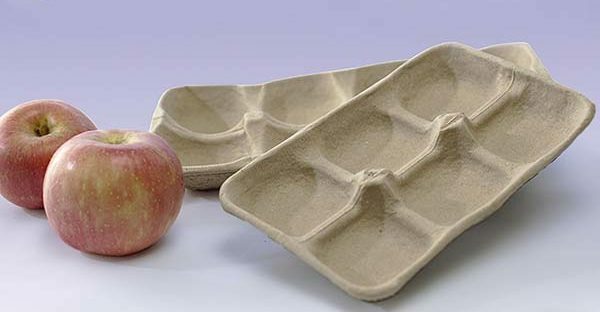 Since 1995, paper pulp disposable tableware has made a great difference in Chinese pulp molding industry. Pulp molding production line becomes more mature. With low investment risks and high profits, there is no doubt that egg tray making machine is an ideal and promising project. Beston has been engaged in egg tray machinery for about 20 years. In addition to advanced technology, we also have rich experience in exporting. Welcome to contact us!